Program may change from advertised at short notice. 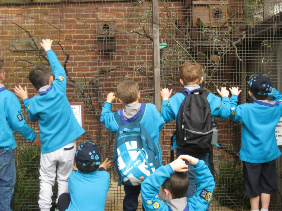 Every effort is made to keep it up to date, but always listen at beavers the week before an event to check. 6 years to 8 years old. 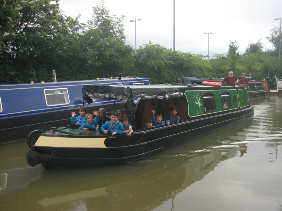 The Beavers meet on a Monday from 18:00 to 19:15. The Beaver leader is Jon Poulton. A relaxing night pootling along the Banbury canal. Life in the slow-lane at its best. 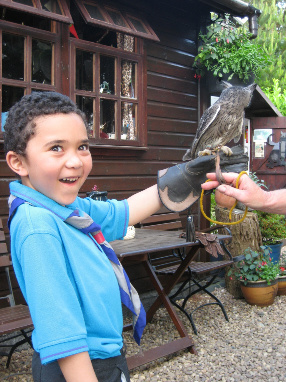 More animal encounters, as the group discovered the world of raptors at the Fir Tree Falconry Centre. Dian was a fantastic host, displaying birds in flight, a baby owl, and a chance for everyone to hold Grumpy... a very patient owl. Another beautiful weekend for camping at the Beaveree Space Odyssey. 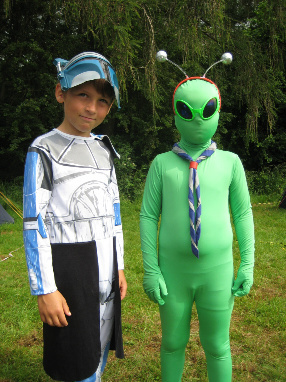 The campers would have fitted in well on any planet in the solar system!! 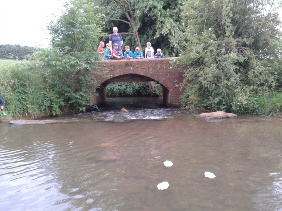 Having made rafts to practice our reef knots, we went on an adventure down to Sor Brook to see who's was the fastest, and floatiest. 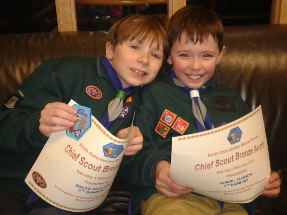 The proud recipients of the Beaver Bronze award had an action packed day out at Youlbury to receive their certificates and commemorative woggles. A wonderful day out at the Cotswold Wildlife Park. 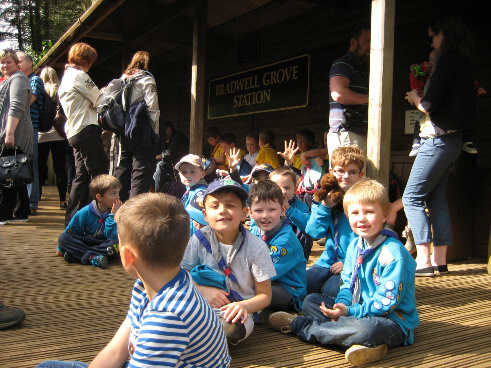 Organised by the county, the pack enjoyed a beautiful sunny day out with an amazing array of wild animals, trains, and an ice-cream too!! The pack were shown around Banbury Fire Station by the incredibly welcoming crew. 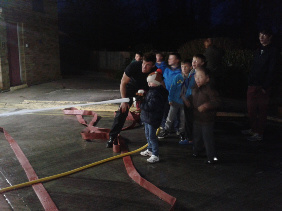 The highlights were getting to use the hose, and a sirens-blazing ride in a real fire engine. 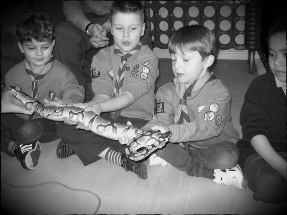 Rory from 'Snakes Alive' introduced us to some of his amazing collection of snakes and creepy crawlies. 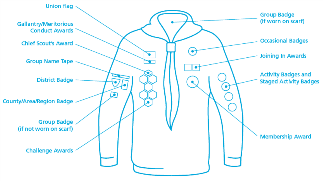 It was an informative and fascinating hands-on evening of discovery. 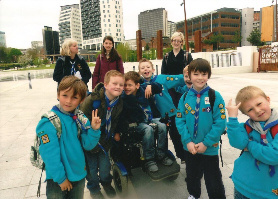 Beaver trip to Thinktank, Birmingham!